Hardware used specifically for mounting pole banners to poles. 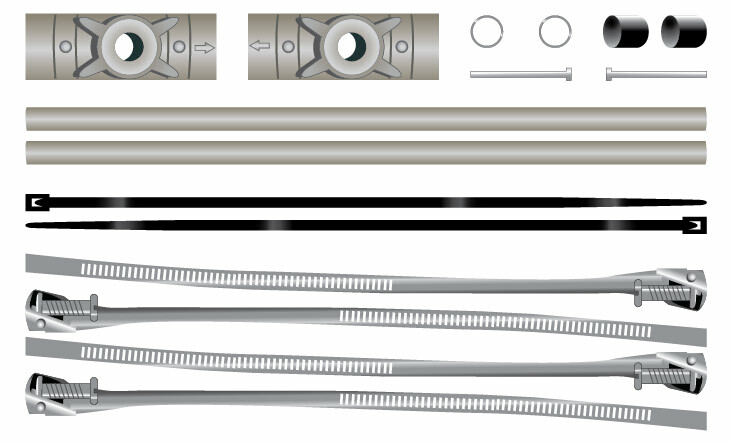 We offer a traditional economic Flat Wall or Pole kit in 26″, 30″, and 36″ sizes. *10 year warranty against breakage caused by winds up to 100 mph.